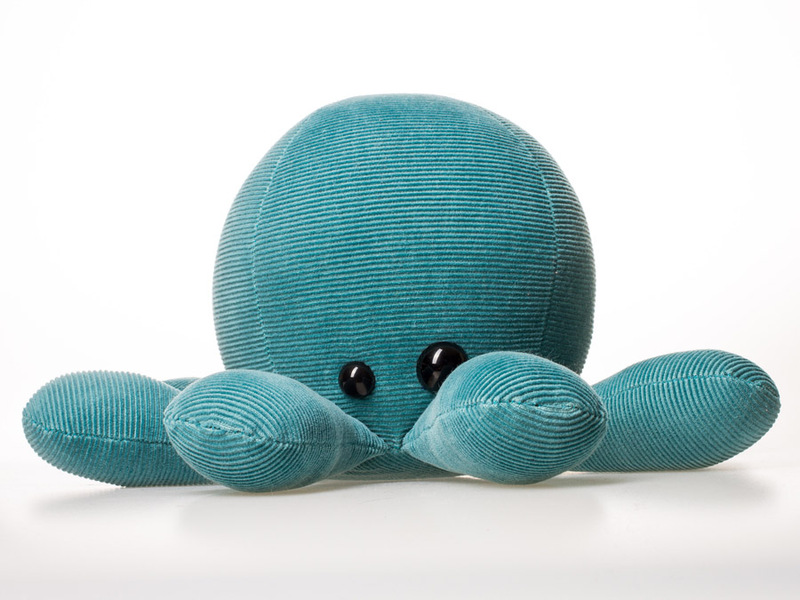 With eight arms to hold you, our Octopals are a great companion for your little one! Each one is custom made with new & repurposed materials. Whether it was grandmas skirt, car seat or vintage sofa, we will turn it into a beautiful octopus plush for your child to love. Stay tuned for some of our special releases like the Frankenpus and Richard Swimmons! Kids love our unique Octopals! Shown for Size. 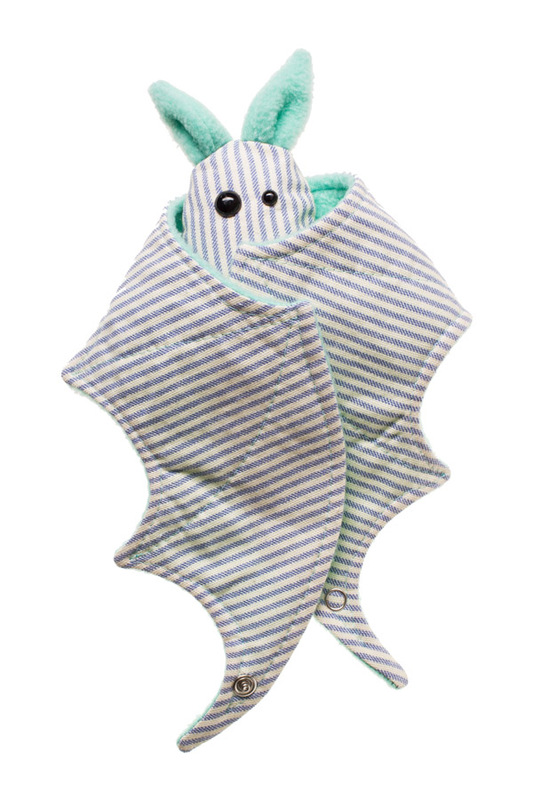 Just like our Octopals, Bat Buddies are made from repurposed materials too. worn around your wrist so they can come with you anywhere, or act as a puppet for hours of fun playtime! 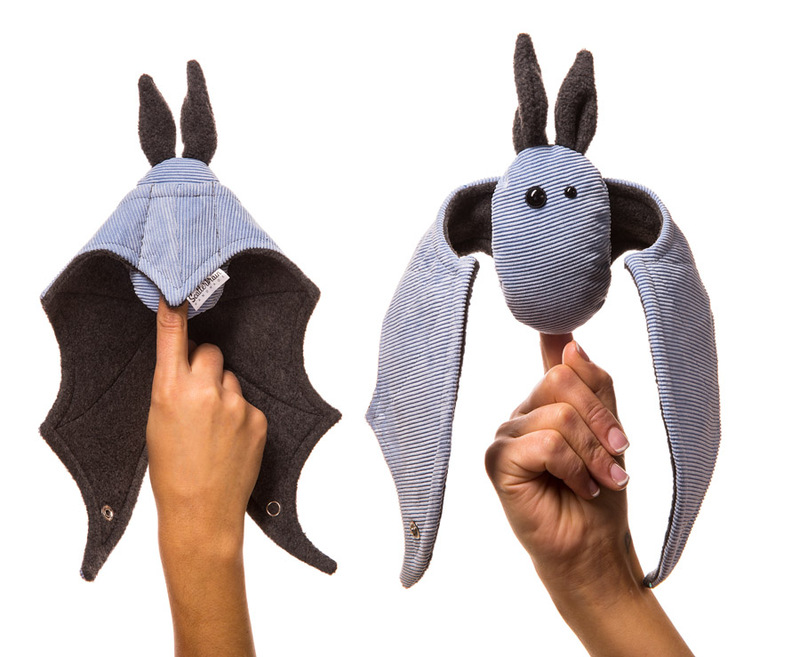 You can slide your finger through a small pocket in the back and turn your Bat Buddy into a finger puppet! Our Bat Buddies wings snap together so you can take them with you wherever you go. Many children, especially ones with autism or sensory issues, love our Bat Buddies! It gives them something to play with to keep figdetness at bay, and help keep them calm in overstimulating situations. Child and Pet Safe, Our Pizza Squeakers are bound to keep your little ones entertained for hours. Our bacon is stuffed with pet & baby safe crinkle paper which creates a sizzling sound when chewed or played with. The exterior is made from extra strength fine thread canvas for long lasting playtime against tough teeth.